Take it from us, a stag do that’s planned is a stag do that’s remembered. Here’s our advice on planning and preparation to make your stag do is epic as possible. A stag do isn’t a stag do without t-shirts! If you need some inspiration for some funny stag do nicknames, then order our free stag do t-shirts names list. Includes over 2000+ hilarious and rude names for you to choose from. You’ve literally got an entire A-Z of name and ideas to choose from. 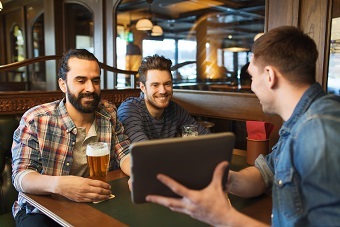 Plan your stag do with precision with our free stag do planning checklist. We at Funktion Leisure have successfully organised thousands of stag do’s over the years, so the advice in this guide comes from years of experience. It’s got fun drinking game ideas and a detailed guide on efficient stag do planning, including advice on locations, dates, activities and more. It’ll help you clear your thoughts and get organised. Both of these lists are immensely useful and completely free, so you’ve no reason not to get in on this helpful offer. Make sure you check out our full range of stag do activities so you can have your stag do exactly how you want it. No matter whether you’re sporty, creative or just love a night out, we’ve got activities for every kind of stag looking for an unforgettable way to celebrate his last night of freedom. Different stag do locations have different things to offer, so make sure you check them out before booking. For example, London has some of the best bars the UK has to offer, whereas the Lake District is home to a range of fast paced, action packed activities like white water rafting, kayaking and so on. Check out the stag page on our website and book with us for an awesome stag do experience you and your mates will never forget.